PRA attacks a cynical” pledge by Sainsbury’s to cap fuel profits in a last-ditch effort to revive their merger with Asda. Brian Madderson said the fuel proposal was cynical, unenforceable, reduce customer choice and put thousands of independent petrol retailers out of business. In these changing times, its vital we speak with one voice especially with the focus on energy transition and the importance of non fuel income. 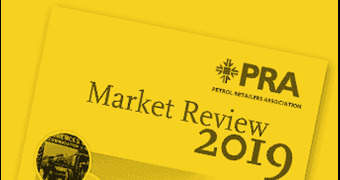 Being kept up to date with interesting and current news via our in house e-newsletter “Petrol Heads Up” which is delivered to your inbox twice monthly and our annual Market Review. A free members helpline where you can get advice on HR, Legal and all the Technical aspects of storing and handling fuel including queries with local authorities.